Spacious 4 BR/2.5 BA/2 car garage with nearly 2000 sq ft on lovely home site in Brandon. REMODELED in 2018. Formal living/dining room combo, family room with beautiful fireplace & sliders out to patio. The kitchen is light & bright with new white cabinets, granite counters, & white subway tile backsplash. The master BR has double closet & slider to the over 1/3 acre partially fenced yard. Mater bath has walk in shower. Other bedrooms are ample & light & 1/2 bath has single sink, commode & pocket door to laundry. Bath 2 has a shower over tub & single sink. Also included, NEW 12 mm laminate flooring throughout, new roof, new hot water heater, a garage w/attic access & side door to yard, & laundry room w/door leading out, & NO HOA fees! Property features a large usable lot (.34 acre) & the building was completely renovated & remodeled in 2018 & with minor upgrades to unlock to existing BPO, this location is a gold mine. The 2000 SF building features 4 potential closed-door offices, large reception work area with multiple work stations, a full kitchen & a tremendous upside for any small or medium business ready to capture the magic and traffic of Lithia Pinecrest. Property is sandwiched between FL-60 & Lumsden Rd in Brandon. Lithia Pinecrest has over 6,000 cars travel on it daily. It is convenient for folks to travel to/from Tampa on the Leroy Selmon Expressway with the entrance to the extension just a few blocks away! 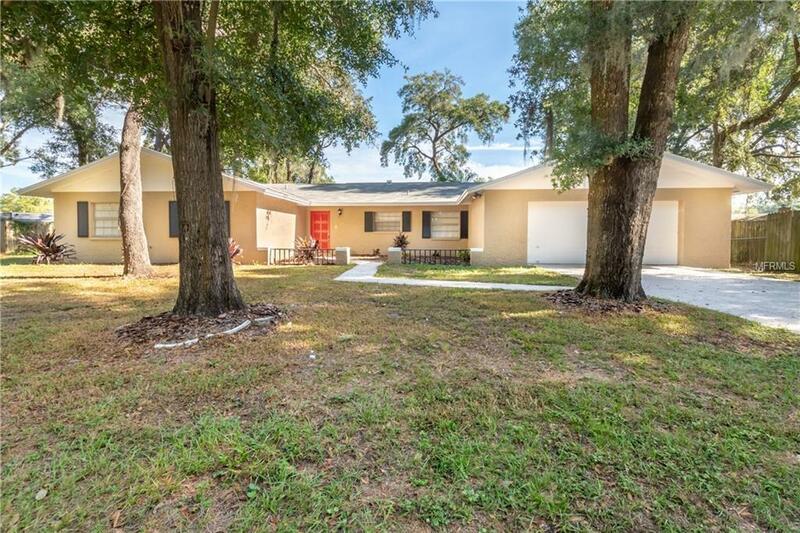 Property also has easy access to Interstate 75 & is centrally located in heart of Brandon.